I consider myself a BMAC groupie. I have been following BMAC on all social media portals since the start of the campaign. At first, I tuned in to support a student that I truly believe deserves the chance at snagging “the best job in the world” but as the weeks passed I found myself, like thousands of others, following the Send BMAC Down Under campaign because it’s the perfect depiction of the awesome student that BMAC is— it’s hilarious, it’s entertaining, it’s bold and it’s brilliant! 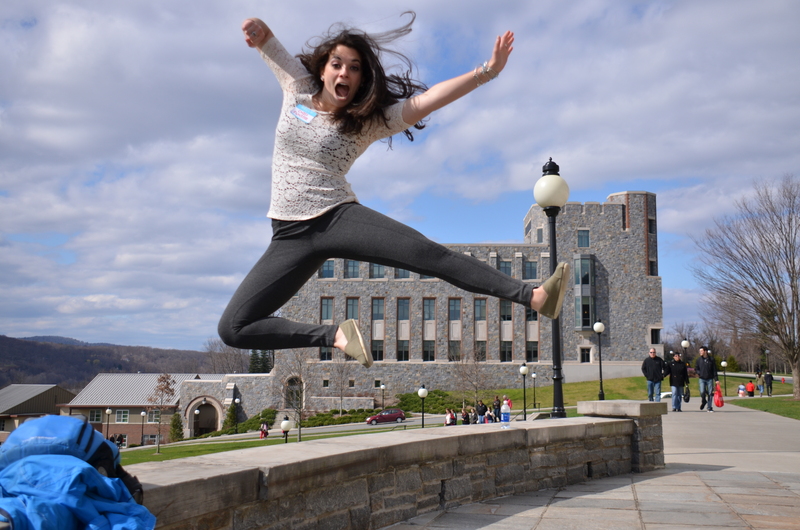 Like her social media campaign, BMAC’s energy here on Marist’s campus is contagious. I have seen her transform a room with her dynamic presentation skills and zest for life. No matter the subject, BMAC manages to find a way to captivate when she is in front of a group. In this way, I know she will dominate her position as Chief Funster. The title itself, “Chief Funster” sounds like a position crafted just for BMAC. If you break it down, “chief” represents her stellar leadership skills and “funster” represents the mode in which she gets her work done. There really is no better person for the job. I know BMAC will land a glorious job in the near future. The organization that snags her will immediately recognize her endless vigor and positive outlook on life. She IS the Chief Funster, so I would advise the folks at Tourism Australia recognize BMAC’s passion for your home and offer her the chance to get folks excited about the land down under. 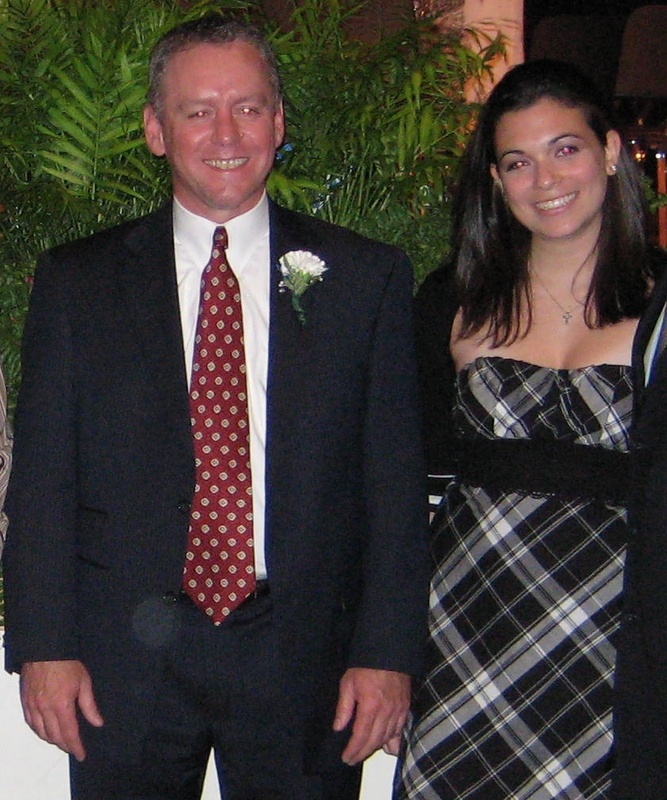 You have all been hearing about my daughter Brittany MacLeod (BMAC to her friends) from her co-workers, mentors, professors, Dean of the Marist School of Management and one of our State Representatives but as her mother I wanted to give you a different perspective of my impressive daughter. I know right about now you are all thinking every mother thinks their child is impressive but I want to give you specifics where she has shined and caught the attention of the world around her. 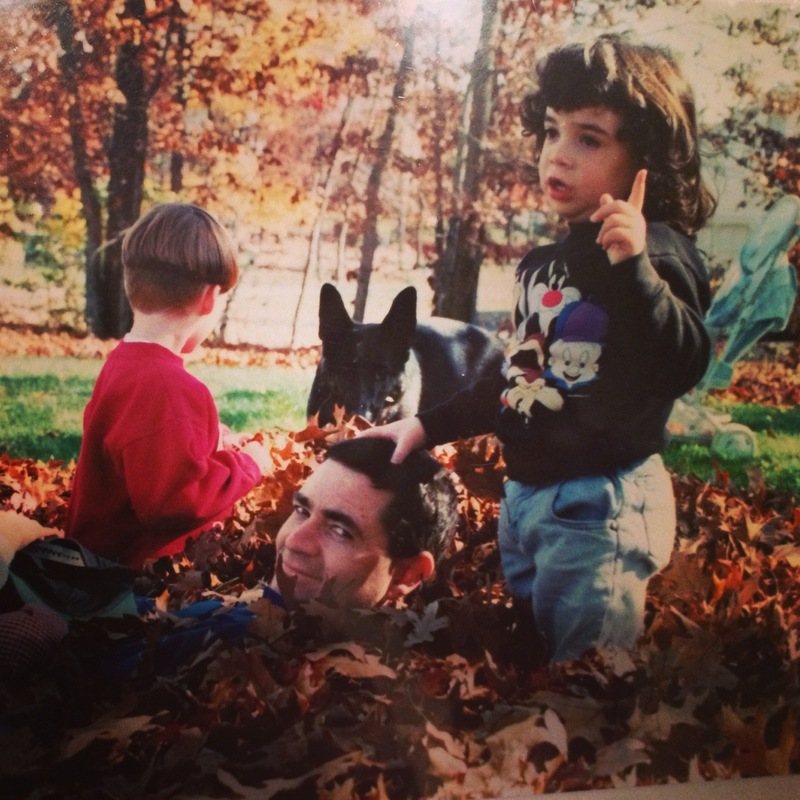 Brittany and Malcolm playing in the leaves when Brittany was little. 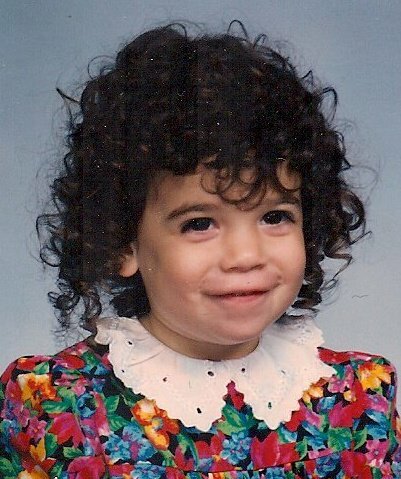 My daughter has always had something say since she learned how to talk! My husband, Malcolm and I knew Brittany was special when she walked at 8 months old and was conversational at 18 months old but one of the things that has continued to set Brittany apart from others is her singing. When Brittany was little, I would take her out with me shopping and Brittany would entertain herself in her stroller by singing to herself. 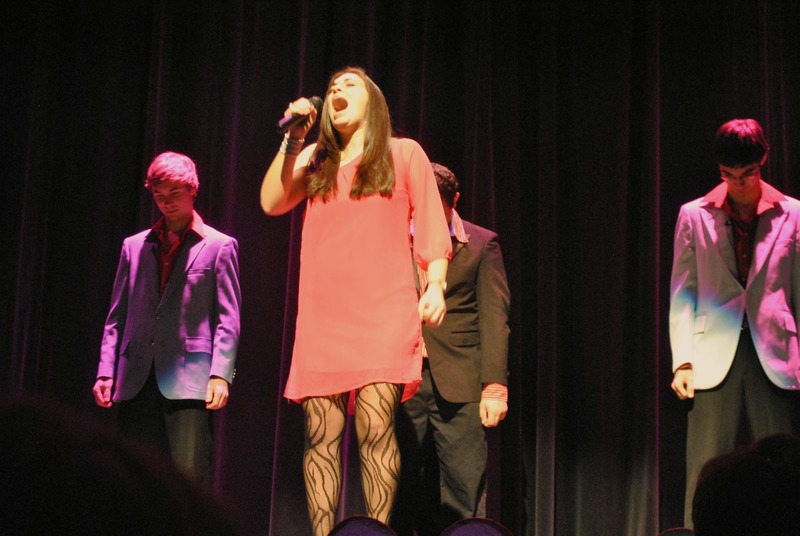 People would stop me and ask me if I realized how beautifully she sang and at such a young age. After a while instead of just thinking it was a “mother’s pride” that thought she was special, I brought her to a vocal coach to see if there was something different about her. I came to find out she had perfect pitch at age five. At ten years old we were visiting a historic home in Newport, Rhode Island where they were hosting a Renaissance Faire and they finished a planned event early and asked if anyone had any special talent. Brittany said she could sing and they thought they were humoring a child when they invited her to go ahead and entertain everyone. She was so much better than they ever expected that a couple of hundred people were blown away by her unexpectedly professional voice. People even came up to Malcolm and I afterwards asking permission to take their photograph with our daughter. Pretty impressive! Brittany continued to sing and set herself apart by becoming the “go to” person in our town to sing our National Anthem at sporting events. One event in particular to be mentioned was the re-dedication of our local Ice Rink, to honor the memory a fallen Medal of Valor recipient and veteran from our town. That was in addition to performing in all kinds of music performances and venues. Brittany still performs while at college gaining attention with her beautiful voice still performing our National Anthem and performing in showcases of talented students. I was astounded by Brittany one day when she came home from High School at age 14 and she told me she wanted to play Ice Hockey. Well, you’re now asking yourself why is this impressive? Well, you see, Brittany had never watched an Ice Hockey game before. Sure, in principal she knew what it was, what New Englander didn’t, but she had never been interested before. 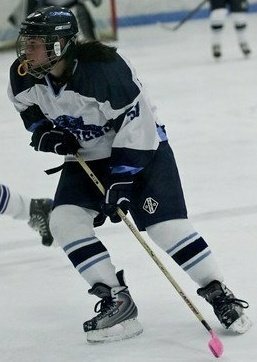 So she set out to play Ice Hockey and had to learn the game very quickly to be able to make the team and compete. 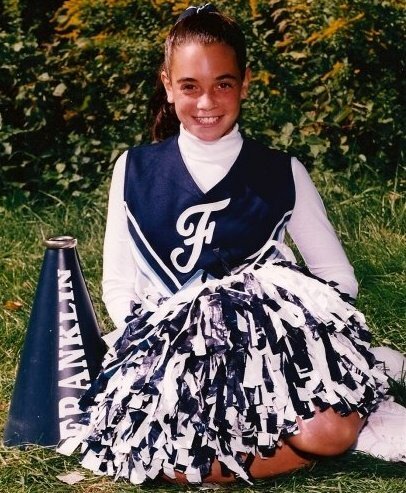 Brittany not only made the team, she played Ice Hockey all 4 years of High School. To mine and Malcolm’s amazement, our daughter who is bright, sings and was a cheerleader for 4 years had another talent to add to her list, Ice Hockey player! But Brittany didn’t stop there. 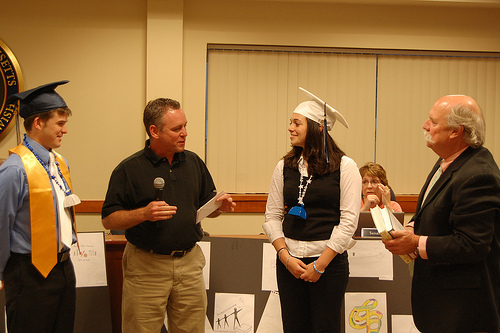 Brittany became the voice of the student body for her High School by representing the student’s point of view at our School Committee meetings for two years as you learned from State Representative Jeffrey Roy. This was the beginning of Brittany’s foray into public speaking and this is important when you consider when Brittany went to college she joined an international organization called Toastmasters International, an organization with over 280,000 members. 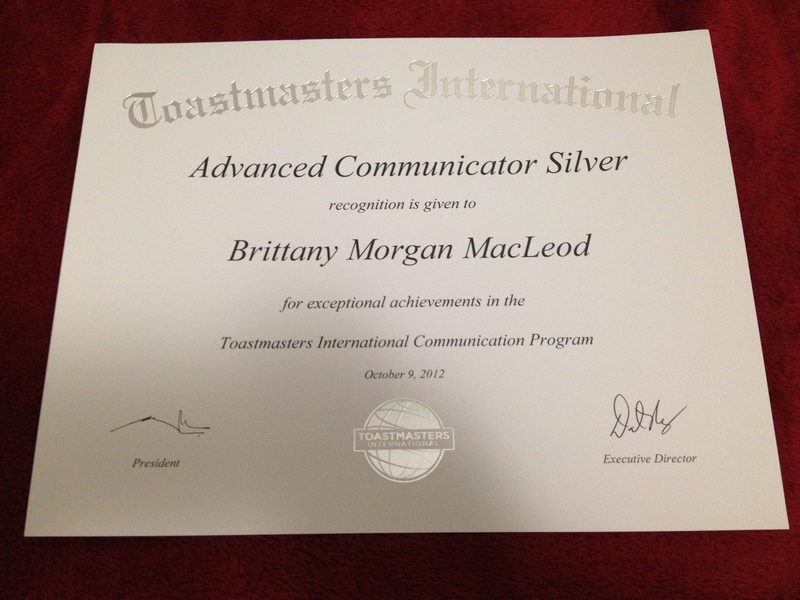 Brittany is on target to earn her Distinguished Toast Master (DTM) in three years. Once she gets her award, she will also become the youngest DTM ever in the world. It normally takes a Toastmasters anywhere between 5-8 years to earn this honor but when Brittany sets her mind to something there is usually no stopping her. So now that I have told you all that, I can tell you that the reason I picked these unconnected factoids about Brittany is to tell you that she often surprises us but never disappoints. She is energetic, talented, driven, intelligent, thinks on her feet, and you would be lucky to have her representing Tourism Australia because she will give you 100% of her effort 100% of the time in communicating to the world how awesome Australia is and that everyone will want to “go down under”. That is the type of young woman she is. I am so very proud of my daughter and all that she has accomplished! She can, and always has captured the attention of all the people who encounter her and Australia will never forget her, I promise you that! Have you heard the phrase? I can guarantee you have. 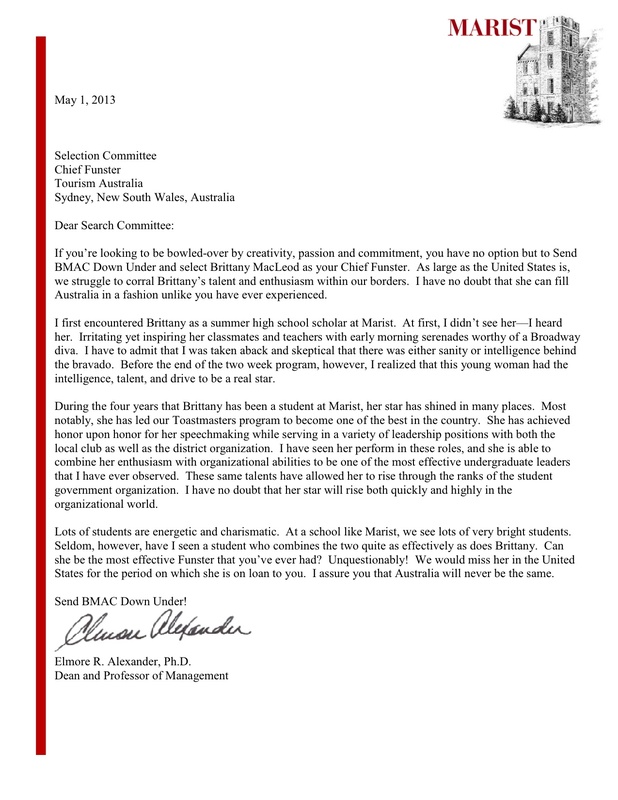 That’s because “Send BMAC down under” is not a saying, it’s not a person or a job application…SBDU is a brand. A brand created by an amazingly talented, creative, dedicated and, more importantly, one of the most fun students I have ever had the honor to work with. Brittany’s personality and professionalism is contagious, and I quickly hired her to manage some of our social media efforts – focusing mainly on creating student life “brand” for our college. We wanted to highlight that the Marist community takes their academics very seriously, but also loves to get involved beyond the books and classroom and takes advantage of the fun social opportunities available. She has an amazing understanding, instinct, and talent for Social Media marketing. As an employer, I want someone that is not going to just do the job they are given. I want someone that will think outside the box, look at situations from multiple angles, and find opportunities that others may miss. Brittany is that kind of employee. I can say with full confidence that the Social Media efforts at Marist College would not be the same without Brittany’s contributions. Working with the Ambassador program, each year I have the pleasure of working with over 200 of the best and brightest students Marist has to offer. Some of them come and go, but others you will remember forever. 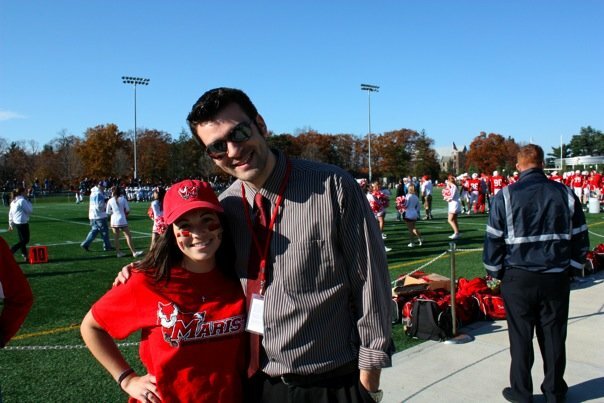 Brittany has had a lasting impression on me, our office, and the entire Marist Community. I thoroughly endorse her as Chief Funster, and am confident Australia tourism will benefit from her talents in more ways than you can imagine. If you need any other information, please do not hesitate to email me (Brian.Apfel@Marist.edu) or call (845.575.3226). Send BMAC Down Under endorsement from model Tucker Des Lauriers. Tucker has modeled for New Balance, Reebok, Adidas, Puma, Hasbro, Hollister, Abercrombie, H&M, Seventeen Magazine, Hercules Magazine, GQ style Korea, GQ Online, Lucio Castro, Marlon Gobel, Calvin Klein Exclusive Milan, Out Magazine, Vogue Homme International Magazine, Kids Wear Magazine, Newsweek Magazine, Stage stores, VMAN Magazine and that’s just to name a few! Here’s Tucker with “Send BMAC Down Under” painted on his chest as one of my official high profile endorsements in the referee challenge for round 2 of the Best Job In The World Contest! These pics are too good not to post all of the ones he sent me. Ladies, swoon! 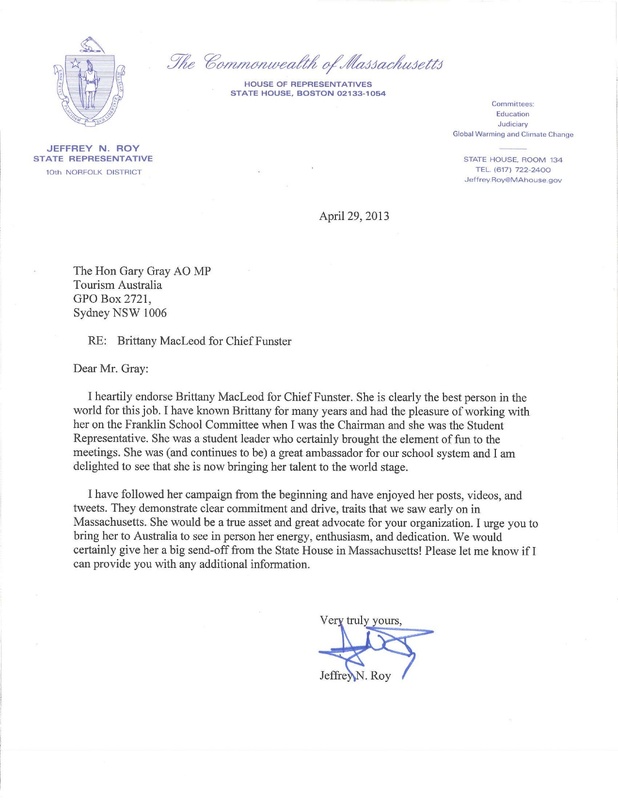 It is with great pleasure that I write a letter of strong recommendation for Brittany MacLeod. I had the pleasure of having Brittany as one of my students and have known her for more than five years. She is among the most creative and energetic individuals I have ever witnessed. 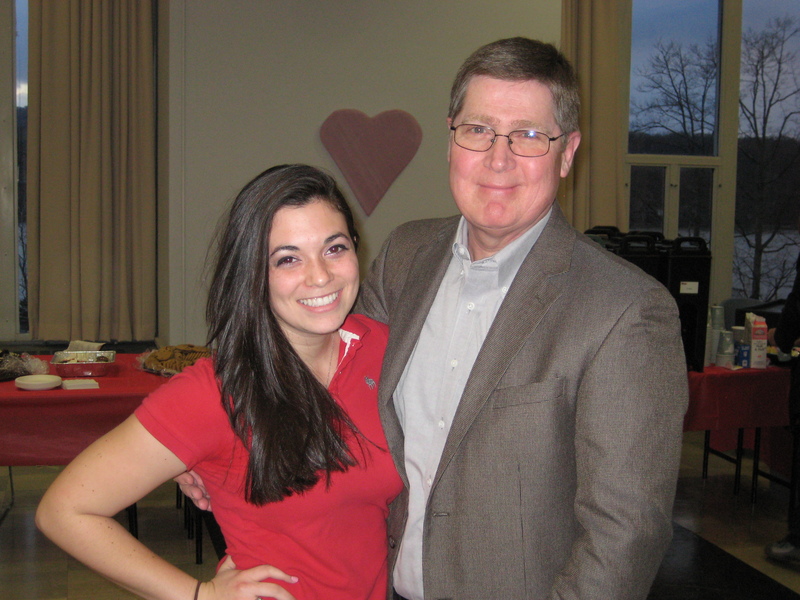 In addition to having Brittany as one of my students, I have maintained an ongoing mentoring relationship with her throughout her time at Marist College. 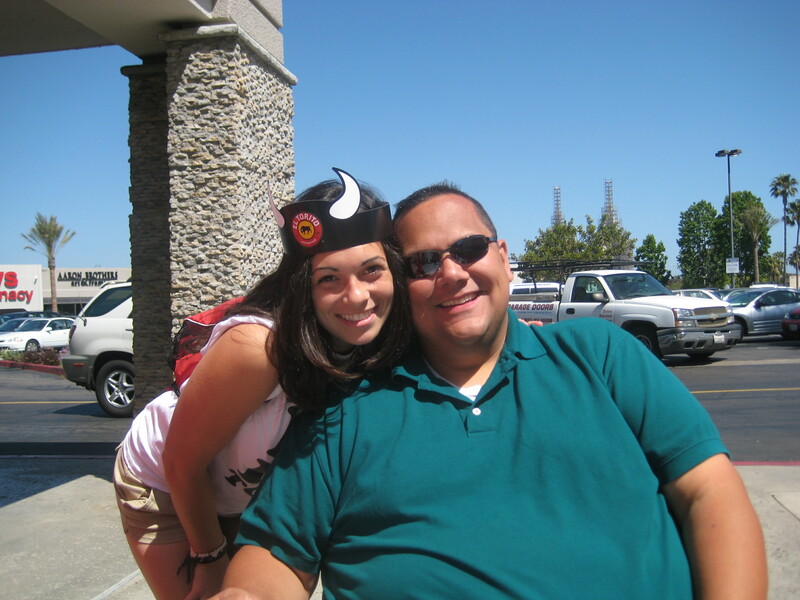 From the first time I met her, Brittany impressed me with her extraordinary courage and strong personality. Additionally, during conversations with me or other students, she is frequently smiling and loves to laugh. As an officer in the Marist Toastmasters Club, Brittany has excelled in many areas but most importantly in leadership, membership, and club development. As the club’s current president, Brittany has recruited members to fill all of the officer roles, a first for the Marist Club. She also instituted weekly officer meetings to plan and organize the club’s activities. To foster better communications among faculty and students, she created weekly broadcast emails, a Facebook page, and a Twitter page. To broaden the club’s community relations, Brittany promoted two important causes: Heart1, which helps victims of abusive relationships; and freerice.com, which is focused on ending world hunger. She has also reached out to develop ties with other Toastmasters clubs in the area such as the IBM Club and the Hudson Valley Orators Advanced Toastmasters Club. To build the club’s membership, Brittany created very attractive posters to display on bulletin boards throughout the Marist campus and flyers to hand out to students. At the beginning of the semester, she mobilized the club’s officers to make short presentations at the beginning of classes. In all, Brittany and her officers made dozens of presentations to students to make them aware of the Marist Toastmasters Club. Brittany also secured funds to purchase prizes, which she then raffled to those who attended the meetings. This activity generated much enthusiasm among students who attended the meetings as guests. Brittany also secured funding from the Dean of the School of Management so that the club could host membership building activities. Brittany’s membership building activities have resulted in tripling club membership since she became an officer in the club. Another of Brittany’s accomplishments was being selected to be one of the youngest Area Governors in the Toastmasters organization. In the Area Governor role, Brittany was responsible to visit and liaise with five Toastmasters Clubs in the Hudson Valley. Brittany did an outstanding job and was continually recognized for her outstanding work. On a more personal level, Brittany sets challenging goals for herself. Although she has been in Toastmasters for only three years, she has achieved the Advanced Communicator Silver Award and Advanced Leader Bronze Award. She has also set her sights on being the first Distinguished Toastmaster at Marist College and is very close to achieving it. The Distinguished Toastmaster award is the highest award in the Toastmasters International education program. In closing I would like to state that it is without reservation that I strongly recommend Brittany MacLeod for consideration for the Chief Funster position. In addition to being an outstanding leader, she is a young woman of outstanding character. Brittany is truly a person with much potential for greater leadership and success. I believe she will do an outstanding job in this important role within your organization. I’ve been asked to convince you why Brittany MacLeod is the perfect Chief Funster for Tourism Australia’s “Best Jobs in the World” contest. This sounds like a tough assignment, but for me, it’s simple. Brains. This young woman has the smarts for the job. As the Chief Funster, she’ll review festivals and events and serve as the social media guru for New South Wales, Australia. Based out of Sydney, she’ll have to tweet, blog, Facebook, Instagram, Pinterest, Foursquare… you get the picture, everything she does. With her ebullient spirit and her contagious energy, every Aussie will be ‘following’ her through her adventures and knowing where the “IT” spots are to be. I would say social media is second nature for her, but it isn’t. It’s her life, all day, everyday. She developed a thorough campaign to successfully gain herself a position in the Top 25 candidates – she has the tools and knows how to use them, to create a fun and informative environment wherever she goes. Maturity. It’s easy to say, “she’s too young…” or “oh, but, she’s just 21.” Age is merely a number for Brittany. It means nothing. Though I have known her for four years (although it seems a lifetime! 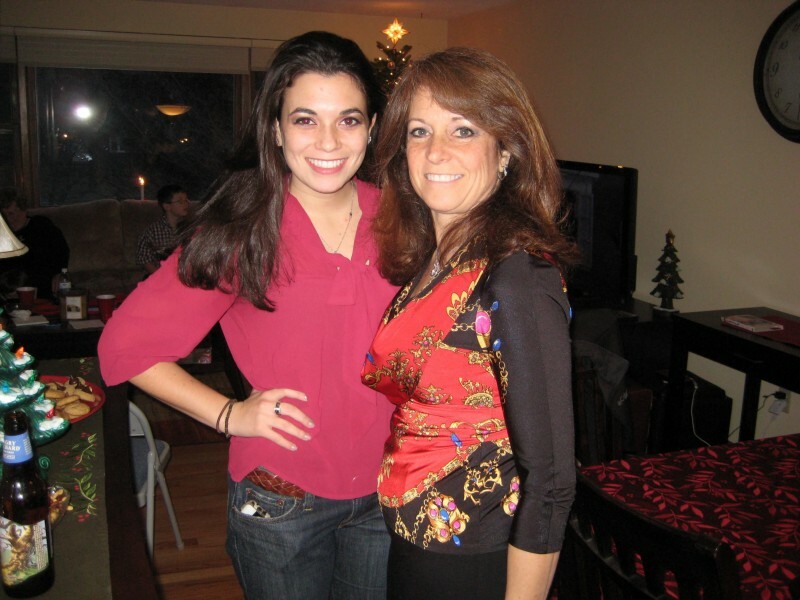 ), she exemplifies a character of responsibility with her schoolwork, her job as the social media liaison for Marist College, her close-knit family, and her community. She has always been involved in leadership organizations throughout her college career, typically holding an elected position of authority, or being the #1 advocate for her fellow peers. This position is not one she will take lightly, as she takes everything she does to heart. I have full trust that she will handle it with professionalism and the utmost respect for the contest organizers, whom she will be representing.